En Route is a real-time ride-sharing mobile app that makes your work commute easier, cheaper and hassle-free by matching ride seekers with ride providers. En Route is designed to help daily work commuters. Ride seekers can find alternatives to trains and buses, whereas ride providers can minimise their transportation costs by sharing their daily work journey. 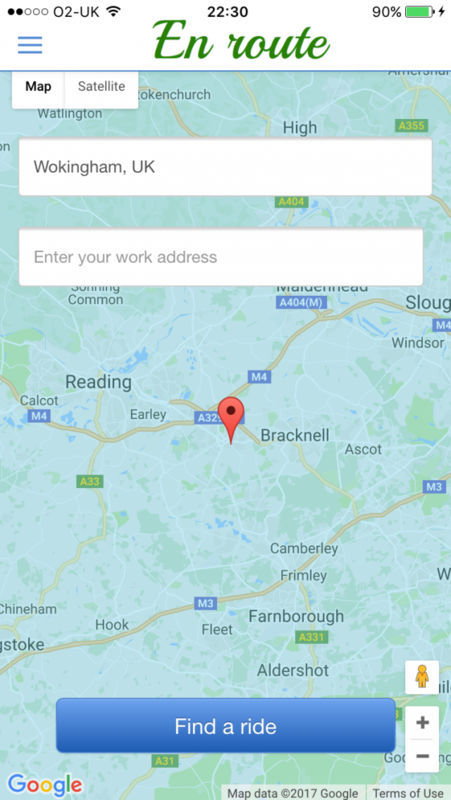 The app’s real-time capability allows users to send instant pick-up requests to others heading in the same direction, providing users complete control of their work journey. A ride with En Route will cost you roughly the same as a ride using public transportation while enjoying the comforts of a car. Welcome to En Route, a real-time ride-sharing mobile app that makes your work commute easier, cheaper and hassle-free by matching ride seekers with ride providers. En Route is designed to help daily work commuters. Ride seekers can find alternatives to trains and buses, whereas ride providers can minimise their transportation costs by sharing their daily work journey.